Image: Epstein, Jacob, Sir, 1880-1959. Working Preacher, commentary, podcast, app, etc. Starters for Sunday, 18 November, 2018. Thoughts on Readings, Prayers & Hymn Suggestions. Office for Worship, Doctrine and Artistic Matters, Church of Scotland. Pulpit Fiction, plus podcast. Reflections of lectionary text, pop culture, current events, etc. Robb Mc Coy and Eric Fistler. "The Way of Faithfulness," Kathryn Matthews, SAMUEL Sermon Seeds, etc, 2018. "Things that Are Pangs in the Birth," D Mark Davis, raw translation and exegesis/questions, Left Behind and Loving It, 2012. Points for Preaching and Teaching, The Lectionary Lab, Proper 28B, the Rev'ds Dr. John Fairless and Delmer Chilton (aka "Two Bubbas and a Bible"), 2012. Girardian Reflections on the Lectionary, Proper 28, by Paul Nuechterlein & Friends. Jesus Now, Proper 28B. Lectionary, study and worship resources from Faith Futures Jesus Then & Now. Rumors, for November 15, 2009, Ralph Milton, "Sermon helps for preachers with a sense of humor." Sermon Brainwave, Lectionary podcast featuring Profs. Rolf Jacobson, Karoline Lewis and Matt Skinner, discussing the week's passages in light of current events. At Luther Seminary's WorkingPreacher.org. 2018. "What Large Stones," Karoline Lewis, Dear Working Preacher, 2018. "Looking in the Wrong Direction...Revisited and Revised," Janet H. Hunt, Dancing wih the Word, 2018. Sacredise, Proper 28, Commentary and Lectionary Worship Resources, John van de Laar, 2018. "Not One Stone," Debie Thomas, Journey with Jesus, 2018. "Struggling with Faith," Shannan Vance-Ocampo, 2018. "Sacred Space Within and Without," Sermon-Stories.com. "Heaven's Head Table,", Connections, 2018. "Pretenders to the Throne," David Lose,...in the Meantime, 2015. "Storied Stones," Karoline Lewis, Dear Working Preacher, 2015. "God Our Midwife: Birthing Peace from Violence and War," David Henson, edges of faith, 2015. Preview of Readings for Sunday, November 15, 2015, Steve Godfrey, Church in the World, 2015. "Disbelief," commentary and discussion, RevGalBlogPals, 2015. "Hannah's Story: When Good Enough is Just Not Enough," Anna Shirey, The Labyrinth Way, 2015. "Beginning of the Birth Pangs," Bob Cornwall, Ponderings on a Faith Journey, 2015. "'God Has Heard,'" Hannah's Song, Dan Clendenin, Journey with Jesus, 2015. "The Beginning of the Birth Pangs," Janet H. Hunt, Dancing with the Word, 2015. "All Will Be Thrown Down," Joel Shuman, Ekklesia Project, 2015. "The Birth of Hannah" podcast - Casey FitzGerald tells the story of Hannah from 1 Samuel." "Nothing But Love," Suzanne Guthrie, At the Edge of the Enclosure, 2015. "Dive on in..." Andrew Prior, One Man's Web, 2015. Podcast. "Giving Birth...?" Thomas Beam, 2015. "The Politics of Hannah's Opened Womb," Alastair Roberts, Political Theology Today, 2015. "Bringing Children into this World," Lynn Miller, Art & Faith Matters, celebrating our creative and living God by generating art and architecture resources for congregations and individuals. Art and Faith Matters facebook page contains additional resources. "Yearning," Journey to Penuel, 2015. "Beginning of the Birth Pangs," Glenn Monson, Law and Gospel Everywhere, 2015. "The Pony under the Pile," Alyce M. McKenzie, Edgy Exegesis, 2012. "Apocalypse Now," David Lose, Working Preacher, 2012. 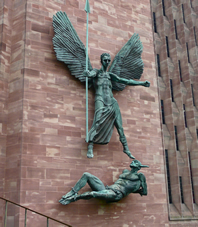 "Renewing faith not just bricks & mortar..." Peter Lockhart, a different heresy, 2012. "Great Events from Small Beginnings," John C. Holbert, Opening the Old Testament, 2012. "The Little Apocalypse: Hope or Tribulation," Modern Lectionaries, 2012. "Living into the Mystery," Brian Volck, Ekklesia Project, 2012. "Looking in the Wrong Direction," the Rev. Dr. Janet H. Hunt, Dancing with the Word, 2012. "Birth pains," Miriam's Tambourine, Memphis Theological Seminary, 2012. "No Time for Fear or Loathing," Sharron R. Blezard, Stewardship of Life, 2012. "Never say 'Never!'" Peter Woods, I Am Listening, 2012. "Hannah and Her Sisters: Mothering Songs," Katie Munnik, Presbyterian Record, 2012. "Who Is the Faithful One?" Bob Cornwall, Ponderings on a Faith Journey, 2012. "Ten Warning Signs that Religion Has Become Evil," Dan Clendenin, The Journey with Jesus, 2012. "Grandiose Architecture," Neil Chappell, a weird thing, 2012. "HANNAH, Backwards or Forwards," Larry Patten, 2012. "Religious But Not Spiritual," Debra Dean Murphy, The Ekklesia Project, 2009. "The Temple Is Coming Down," Will Willimon, A Sermon for Every Sunday. Video sermons from America’s best preachers for every Sunday of the Liturgical Year. "Caregiver Sunday?" by Brian Blount. A Sermon for Every Sunday. Video sermons from America’s best preachers for every Sunday of the Liturgical Year. "Covenant," Frederick Buechner Sermon Illustrations. "The Way of Faithfulness," Weekly Seeds, UCC, 2018. Mustard Seeds, "God can be trusted / The Challenge of our Times," Proper 28, 2015. A lectionary-based ideas resource for leaders of contemporary worship, Ann Scull, Gippsland, Australia. Liturgy for the Celebration of Life, 2018. Liturgies from a Progressive/Post-Liberal Theology, Revd Rex A.E. Hunt, Uniting Church in Australia. Lectionary Liturgies, Ordinary 33, 2015, Thom M. Shuman, Presbyterian Church (U.S.A.). Lector's Notes, Ordinary 33, Gregory Warnusz, Saint Jerome Parish, Bellefontaine Neighbors, MO. Notes and commentary for those reading this week's lectionary texts to the congregation. "Liturgy: prayers reflection," reflections on the collect at the Eucharist, NZPB, (2nd before Advent, C of E) (BCP TEC), Rev. Bosco Peters, New Zealand. The Timeless Psalms: Psalm 16, Joan Stott, prayers and meditations based on lectionary Psalms, 2015. HermanoLeón Clipart, Ordinary 33. Free clipart, backgrounds, slides, etc. Clip Art, Ordinary 33, Fr. Richard Lonsdale, Resources for Catholic Educators. Clip Art Images: Mark 13:24-32, Misioneros Del Sagrado Corazón en el Perú. Ordinary 33 at Cerezo Barredo's weekly gospel illustration. Follows Latin American Roman Catholic gospel reading, though most gospels texts/themes are found in the index. Liberation emphasis. "Nothing Is Permanent," Faith Element Discipleship System, "Setting the Bible Free," 2012. Psalm 16 set to Finlandia (11 10 11 10 11 10) by Dale A. Schoening, Metrical Psalms. Hymn and Song Suggestions, Proper 28B, 2018, annotated suggestions from Natalie Sims, Singing from the Lectionary. Lectionary Hymns, Ordinary 33B, National Association of Pastoral Musicians. Worshiping with Children, Proper 27B, 2015. 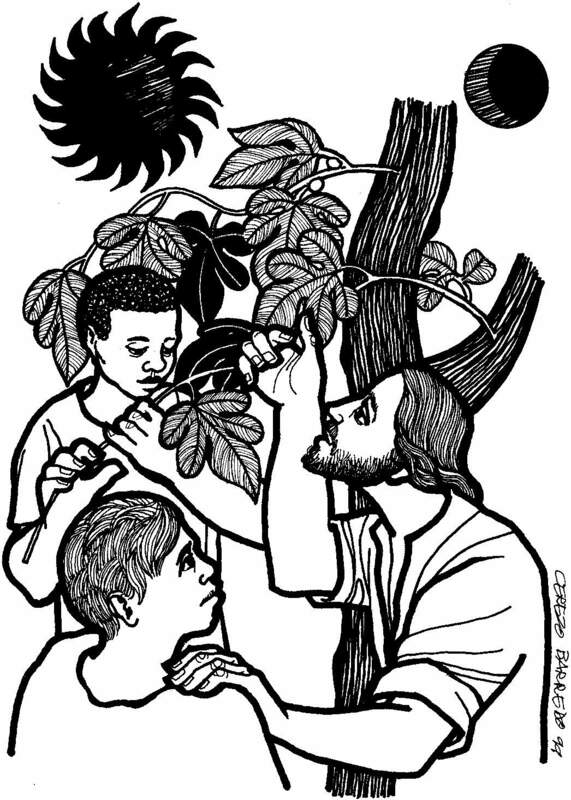 Including children in the congregation's worship, using the Revised Common Lectionary, Carolyn C. Brown, 2012. "We Gather Together," Frances Woodruff, On the Chancel Steps, 2012. "The Legend of 5 Kernels: A Thanksgiving Story," Dianne Deming, Children's Sermons Today, 2012. Thanksgiving Table Faith 5 Devotion, Faith Formation Journeys, 2012.